1.) Preheat oven to 350 ºF. Grease and flour 6" Round cake pan and set aside. 2.) Sift flour and baking powder into a separate bowl. In another bowl; cream sugar and margarine, then add the egg and blend until thoroughly mixed. 3.) Mix in the dry ingredients slowly and blend until well mixed. Fold lemon rind in and then pour batter into cake pan and put into oven. 4.) Bake for about 35-40 minutes or until toothpick inserted in center comes out clean. 5.) Meanwhile, combine the lemon juice of the 3 lemons and the 1/4 cup of sugar in a small bowl. 6.) 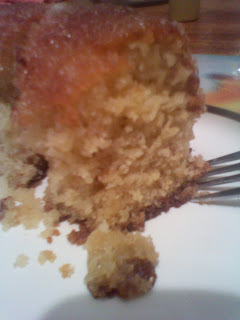 When cake is baked, remove from oven and let cool for at least 3-5 minutes in cake pan. Remove from pan and let cool on a cooling rack. 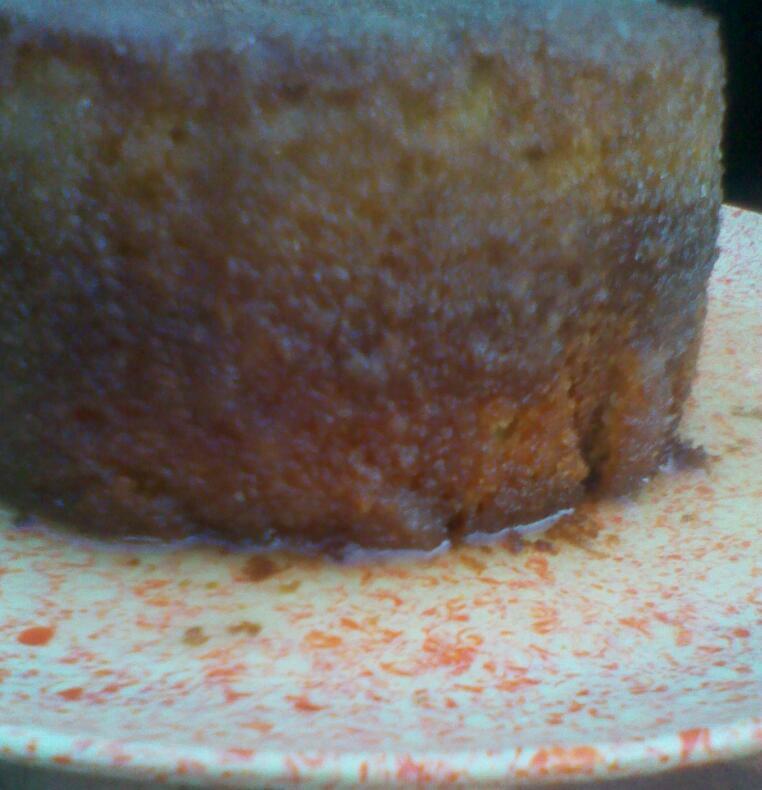 When you place cake on cooling rack, pour lemon glaze over the still hot cake then let it cool. ﻿﻿ Any other recipe you would like us to try out and share with you? Let us know ^_^! I go googoo eyes on this cake. If it were possible, I'd get one every day, but that's really bad for my health, so I settle for bribing and cajoling my sister into baking it when I can. Yummy.!! !